Let me explain more; if your blog consists of articles related to “Web Hosting” keywords, then Google ads system will monetize or show advertisements related to web hosting on your website. You might know that search terms related to web hosting are one of the expensive ones which result in high CPC clicks. If you want to generate more money with AdSense, you must use high CPC keywords. Otherwise crafting articles around low paying keywords without any research would not benefit you and of course, your cost per click rate will be low. Ultimately, you won’t earn a healthy income from advertisements clicks no matter which monetizing network you’re using. On the other hand, if you’ve organic visitors but generating insufficient money then try monetizing platforms like BuySellAds might help you as it doesn’t work on clicks or CPC. In case nothing is working, here I have shared a few Google Adsense alternatives you should give a try. 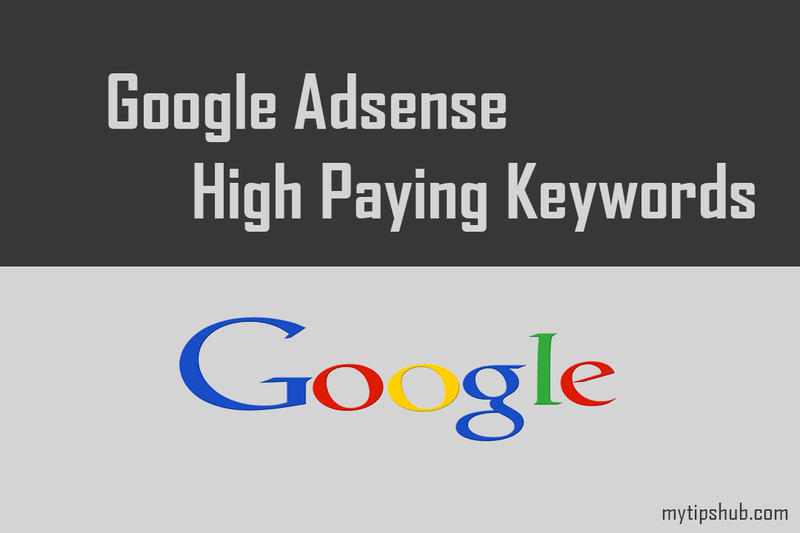 How Can You Earn Big with Adsense Highest CPC Keywords? You may think how I can make big with high CPC keywords? Let me simplify it. If you earn $3 from 60 clicks, then your estimated CPC rate will be almost $0.05 per click. Which is the worst income per click and it cannot make you enough money to afford your living expenses, right? Are you feeling satisfied with 3 bucks from 60 clicks? Of course, not. So what you need to do? Generating $3600 only from a single channel is not a bad deal, is it? However, you can use multiple monetizing platforms along with Google Adsense such as BuySellAds (The best impression based advertising network). So always try to use the most expensive keywords and make big money when your primary aim is placing ads to make money rather than affiliate marketing. Note: Avoid keyword stuffing; otherwise, it will hurt your ranking and user experience. No one likes to read the same words again and again. You can use synonyms to avoid this. Keep in mind, user experience should be your priority. Use or create your website on following most expensive and highest paying niches to earn good revenue. You can use Semrush or LongTailPro to find expensive but low competitive topics to enjoy high Adsense CPC and low competitive KWs to help you improve organic traffic. Both tools are capable enough to discover thousands of keywords. How to Use These Top High Paying Keywords to Improve Earning and Click Rates? Now here is the biggest challenge that most of the bloggers face. If you check the comments below, you’ll find that many users ask how to use these KWs to increase adsense earning? All you have to do is write blog posts around these highest CPC keywords and publish on your blog then Google Adsense will show advertisements related to the website content. With this practice, Google Adsense will display banners and ads having high bids and click rates. (It depends on Adsense algorithm). 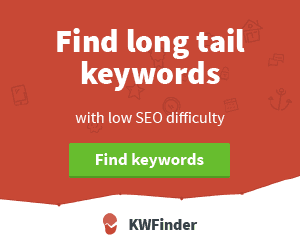 If you don’t found KWs related to your niche in this list, head over to SemRush and discover thousands of KWs correlated to your niche. It’s a freemium tool which means you can use it without paying a single penny but with restrictions. You will have to subscribe for a paid subscription to get most out of it. However, Keywords Everywhere Chrome extension is the best free tool to research and find profitable topics. Don’t have money? That’s the main issue. Join Semrush here for free and buy one month paid subscription. And now, try to research as much as you can and make a list. I am sure one month is enough to create a long list of highest CPC paying keywords and then write articles on these KWs. Honestly, if you want to see dramatic results, spend a few dollars on paid tools instead of relying on free ones. Most of the free tools waste too much time to come up with profitable KWs. You can enhance the process by using paid services and invest your time in crafting articles around researched topics. Pretty simple. So! This is the list of top keywords of Google adsense, by using these most expensive keywords in your blog posts you can increase your CPC rate and monthly adsense earning too :). However, you can find more high paying adsense keywords by using Long Tail Pro and SEMRush Tool. If you know more most expensive keywords for Google Adsense that I missed in this list, feel free to suggest more keywords and don’t forget to write your thoughts about this article in the comments section.